Bay area Chow in quick need of Help. Thanks Jeff. I tried calling right now while I am on my lunch break but got a voicemail saying to keep trying to call back. I believe this guy is at San Francisco Animal Care and Control. 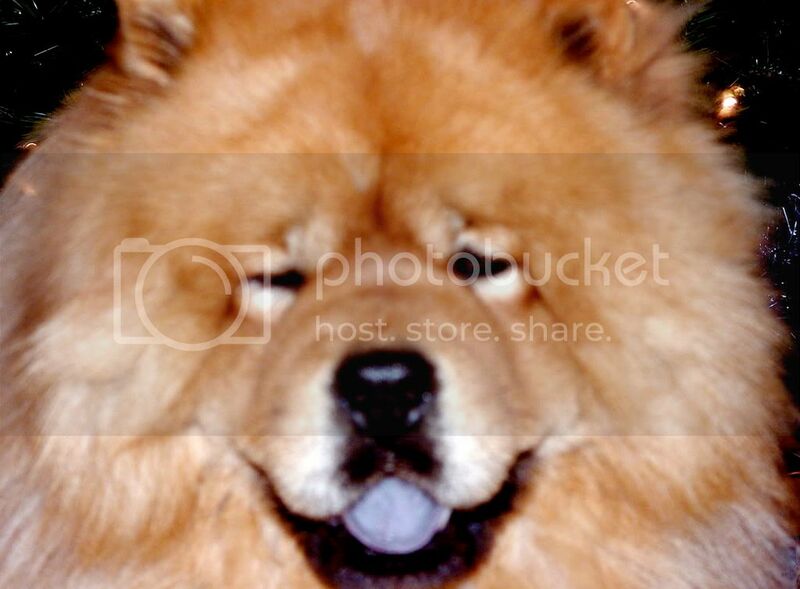 If you look on in the lost dog section there is an injured Chow that looks to be unconcious or worse in the picture. Below is a link to the website and if you use the search criteria on the left look in the lost/found dog section he is on page three right now. I just called ACC. They said he's being held for now, pending release to a rescue. The man on the phone said there is a rescue interested in springing him but I don't know which one it is. Maybe Rocket Dog. I'll find out. From the craigslist add, sounds like it's Rocket Dog to the rescue. I left Pali a message. I offered my home as a no other place deal. I have PB here and their condition is for a no dog in the home situation. That is such a generous offer Lou. Miss Pooh Bear is so mild mannered that she might count as a "no dog in the household". I hope someone can help, that is so sad. Poor guy. I just saw this post. How horrific. I'm probably closer but I've got LEO, too, and she will be wanting to play. I won't call the ACC or the rescue myself, as we have contact from this board already. If I can be of help, please call/e-mail me or PM me. It might be an idea to have one person from this board contacting direct and then we share the information so the rescues would not be over burdened....does that make sense? I've left a msg for Rocket Dog. I'm not ideal, in that I don't know if my landlord will say it's ok. However, I don't have another dog under my roof, so...we'll see. Linda & Jennifer, I've just PM-ed you on my direct contact details. Lou, you have number. Don't know who will get a reply from the rescue, but do feel free to use the quickest means possible to contact me if I can be of any help. I can't take him in, but I am willing to contribute. Let me know. Still waiting to hear back from Rocket Dog. If she doesn't call in the next 30 minutes, I'll call her again. Jennifer, wasn't there another number you can call if you're calling regarding fostering? It was on Pali's message. Maybe leaving a message on that number can expedite things. Anita, off topic, I just wanted to say I so enjoy looking at Aslan's photo on your signature. Aslan makes me smile. Sometimes when I'm watching a dog show, I would brush Miss Pooh Bear's fur up towards her so she looks fluffy like the chows on the dog show and she turns out looking like your Aslan's photo. I call it Miss PB's just waking up from bed hair... she won't smile and looks at me like are you finished humoring yourself now, ma? Anyways, I did want to tell you Aslan's photo makes me smile. The alternate number is for a RD volunteer named Kay. I've chatted briefly with her and she's the one whose call I am waiting for. Pali, the founder of RD, only checks her cell once a day, so I took the alternative route in the name of haste. Thanks Jennifer for calling. I just got home from work but since you are gathering the information I won't call them again unless you need me to. Hopefully your husband will be persuaded by the fact that you are only "fostering" (the quotes are how my daughter puts it. ) and that the medical expenses will be covered by the rescue. Also, thanks Leo's Mum for the offer of help. Hopefully between Lou's and Jennifer's offers to foster and the rescues resources this poor guy will get a great foster home. It is rough for chows to be in the shelter at all let alone with this poor guys injuries. Oh and Lou, I love Aslan's picture too. they are probably saying no other dog becouse if this Chow was used for fighting bait like it says, there might be a big problem. The Chows deffently not going to trust other dogs. Bet anything it was a free puppy add in the beginning. Yeah and he will need to feel secure. He wouldn't get that here with my two. They are constantly wrestling. It is in play but still they are rough. I would think that a mellow dog might help in the recovery process though. We'll have to see what those who saw him have to say. As for the free ad, probably. I saw last week on the news, four shady looking guys went into the SF animal control and grabbed the dog closest to the door and ran out. The whole thing was caught on camera. The poor little thing was most likely to be used for bait. Been trading phone messages with Kay. We're supposed to chat tomorrow, so it appears the dog isn't in grave danger at ACC as originally thought. Thanks for the update Jennifer. I think (and I could be wrong) if there was no interest from rescues then he would have been in definate danger but because Rocket Dog expressed interest then that buys him a little bit more time. Lou wrote: Jennifer, wasn't there another number you can call if you're calling regarding fostering? It was on Pali's message. Maybe leaving a message on that number can expedite things. Thank you. My fat boy does look likes he has bed hair. Can't wait to meet you and Mis Pooh Bear @ the Chow Fest. Thank you for all your updates. Great to know the little guy is in no danger. Just wondering if there are any updates on this poor guy. It took a while for the rescue lady and me to connect. They are so busy! I'm going to meet them at SF ACC today at 4p so they can introduce me to poor Charlie. Cross your fingers that all goes well, and he can come home to be fostered with me. I just got home and found a message from Pali regarding Charlie. I was just about to phone you but checked e-mail first. So, I am very happy everyone is touching base. Pali described Charlie as really, really shut down. So give me a call if you need any help or if you need Pali's direct number. I hope you get him, everyday will be a new day for him. You need to start a thread just for Charlie and his daily progress. A Chow that has shut down like this is a great recuse, it will be interesring to see how he comes around. And he will, might take some time but he will come out of it. I hope you are able to help him. When we got Teddie from the Martinez shelter he was also very shut down. He had almost drowned when he was saved and taken to the shelter. They had said he wouldn't look at anyone and would just hide in the back of the pen. I was amazed once he was out how quickly he perked up. Hopefully this will be the case for this poor guy too. Please let me know if you need any help as well. How is he doing? No rush, tell us when you're ready. If I could be of help, don't hesitate to call.